Home » Articles » 177. 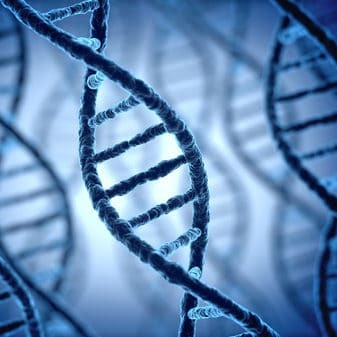 Special Abilities: They’re in Your DNA! ← 176. The Grocery Shopper Has Got the Power! You want to call your mother, you pick up the phone and she calls you! You suddenly slam on your brakes and about 10 seconds later the cars in front of you hit each other. You feel a stabbing pain in your wrist and hear that afternoon that your friend broke her wrist. Flowers stay fresh longer for you than for other people. You always guess surprises beforehand; you guess what is in your present. You have contact with a deceased bother/sister who regularly gives you good advice. You anticipate that something will happen but because other people find it creepy, they begin to avoid you. You know exactly which herb helps with itching/pain without anyone ever telling you. When someone is in pain they ask you to lay your hands on the painful spot for a moment. You see someone on TV and just know he’s lying. People who are down or sad always leave happy after having been with you. These are our special abilities; abilities that each person potentially has but which we seldom talk about. It’s too bad because they are very normal! And… they are the key to peace in the world! DNA has switches, about 20.000(! ), that can be on or off. 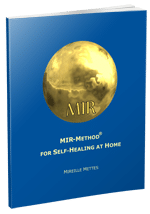 With the MIR-Method, you rid your system of burdening information. Things such as deep emotions, like fears. If you let them go, the switches turn on, one by one. This provides physical healing and it releases your special abilities. It is a process that takes place in your tempo, not faster or slower, because your subconscious has respect for your internal feeling of security. Why is 97% of our DNA turned “off”? Scientists have asked themselves this question and are coming closer to a bit of truth that we are already aware in alternative medicine: a switch of your DNA goes “on” when the burden on it is taken away. That burden can be old emotions from traumatic experiences, from you or from your family. If your distant forefathers got into trouble through their abilities do you think they would want to pass these on to their children? No! They close off these abilities and the DNA is turned “off” for their children. In this way, many wonderful abilities have been closed off for people for centuries and not shown out of fear for the consequences of doing so. Are you grounded? By this I mean, if you flutter around, are not firmly in your own body, these types of abilities get out of hand. You probably don’t stand firmly enough with both legs on the ground. If you do the MIR-Method, these special abilities won’t be released until you are grounded enough within yourself. There are a lot of people getting psychiatric care who have special abilities but because of a lack of grounding, couldn’t cope with them. By the way, this is a strong indication that the MIR-Method can be a helpful tool in psychiatry. When we are clairvoyant or claircognizant, we see through other people’s hidden agendas. When our healing abilities are released, sickness will disappear into the background. We discover a new pastime, away from material profit or useless consumerism. When we strongly feel others, goodbye to miscommunication, resulting in mutual understanding! With the MIR-Method you also work on your DNA. By letting go of old emotions and removing them from your DNA, you turn your DNA “on” bit by bit and cause the remaining 97% to develop. You can imagine that unprecedented and interesting abilities will be released! I sincerely hope that this process wonderfully continues and that we can soon enjoy it, because nothing is better than living to your full potential! Just another important note: the MIR-Method helps you with your personal development and your mission. That doesn’t mean that these abilities will be released no matter what; that depends on your mission. I, for example, still can’t see auras (yet) because I know that all those wonderful colors around people would form a huge distraction from my work! And people who have faced strong rejection in the past because of their abilities will only slowly, or maybe not at all, develop them. It depends on how deep your fears are. Because of self-protection, they don’t come to you or only after many years. And that is fine. Let a large group release their abilities. When that has become normal, you can safely release your special abilities. Do you recognize this? Do you talk about what you’ve been through? The more you talk about it, the more normal it will become! I’d love to hear about it! Please write about it below. Thank you! Wishing you happy wonderment about your special abilities! THANK FOR THIS AND MIR!Helps me not feel so lonely about my ET visits..talki g more about both to help my massage people.. and myself! You are a special light on the Planet! There is still so much to discover in that area. And still so many people deny ET visits. Hope you can transfer some good information, messages or technology to the rest of us in the world!? I am open to it, if you want to share some more.